Leadership is about character – who you are not what you do. And today when leadership is needed at all organizational levels, it is critical that leadership character be developed and enhanced in all individuals. It is those with leadership character who will contribute to others in powerful ways and help their organizations achieve bottom line results and long-lasting success. 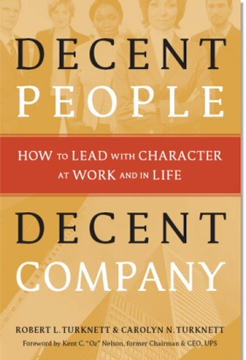 We wrote Decent People, Decent Company because we want to help people grow. We believe that developing the character necessary for leadership can be the most rewarding and profound thing you’ve ever done. It allows you to accomplish more, to genuinely like your job more, to commit more fully to whatever you’re doing—whether that’s running a Fortune 500 company, organizing a PTA fundraiser, or managing a major project at work—and to simply enjoy life more. 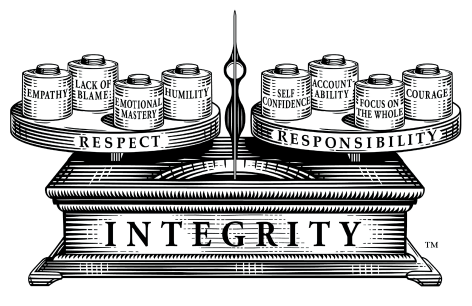 It allows you to lead in a way that lends integrity and character to everything you do, and to create organizations where everyone takes responsibility for the financial and ethical success of the company.